Pastor Netland grew up in the Southeast Iowa Synod. She’s a graduate of Luther College with a BA in Public Communication Communicative Disorders and has one year of graduate work in Speech Pathology at the University of Kansas. Pastor Genelle has worked for Lutheran Campus Ministry at both KU and the Twin Cities. 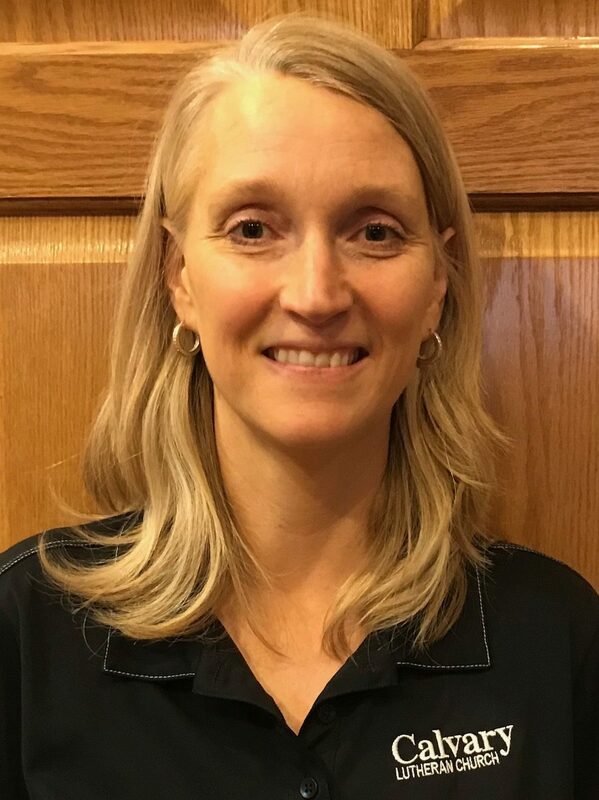 She has served with youth at Central Lutheran Church in Minneapolis and did her internship in Avon, CT. She started at Calvary on September 1st, 2001 and was installed as senior pastor on July 11, 2009. 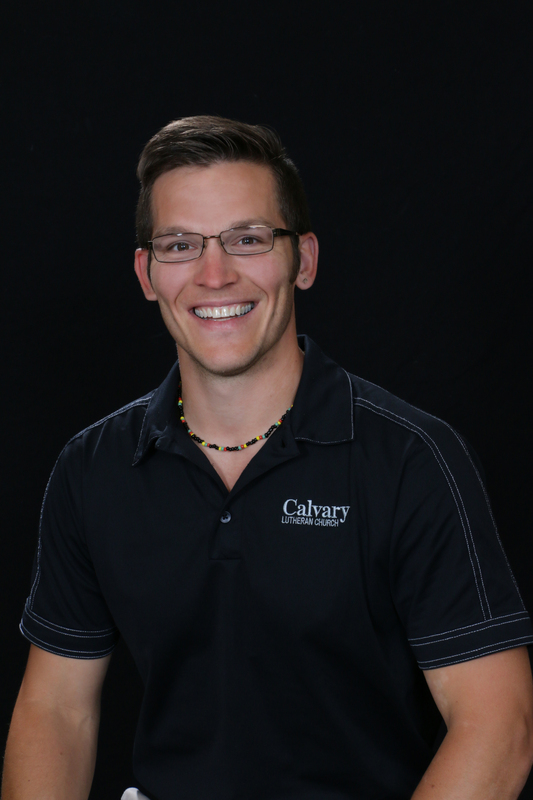 Pastor Nate joined Calvary July 1, 2013. He grew up in a small town in southeast Minnesota, and graduated from St. Cloud State University with a degree in Business Management. Following graduation, he worked at General Mills in Minneapolis for two years. It was there that he met his wife Sarah. Nate accepted a position as a full-time Youth Director in Cokato, MN and began school at Luther Seminary in a Distributed Learning program. He worked in Cokato for almost five years before going on Internship at Zion Lutheran Church of Amor, MN. He and Sarah have a daughter Izy. They enjoy many outdoor activities including boating, hunting, fishing, all sorts of athletics, traveling, meeting new people, and hearing the stories of others. 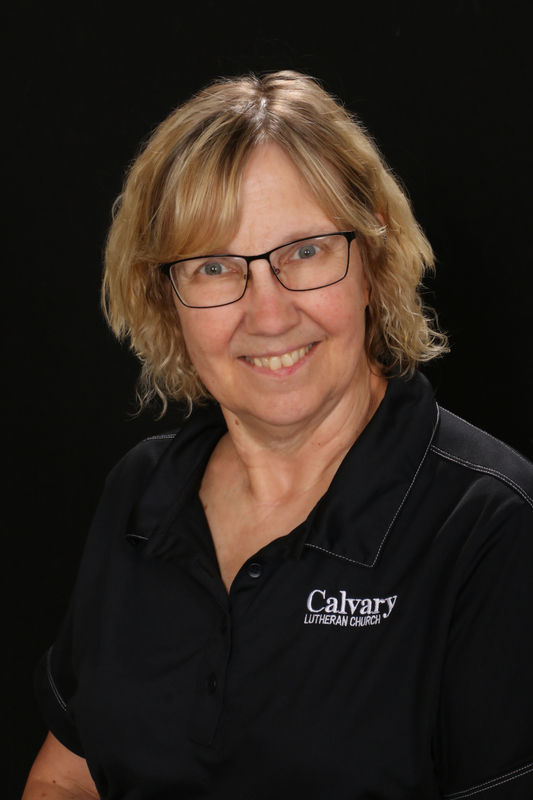 Joan Meulebroeck began her work with Calvary in January of 2003 as membership secretary. In June of 2009 she was hired as Director of Children’s Ministries which includes Calvary’s preschool. 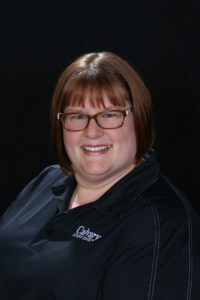 She holds a degree in Elementary Education from Bemidji State University with an emphasis in Kindergarten and Math. She was Director of Christian Education and Music at St. Peter Lutheran in Dubuque, IA prior to returning to Bemidji. Shar has lived in Bemidji since 1990. She has a grown daughter who lives with her husband in Moorhead, MN. Shar married her best friend, Don Carlson, the summer of 2013. They enjoy working on their cabin, walking, listening to music and reading. Shar holds a BA in Business from UND in Grand Forks, ND. Shar worked for Schoolcraft Learning Community for 14 years, and concurrently worked part-time at Calvary planning and leading contemporary worship starting in January 2012. Shar began the full-time position as Worship and Music Minister in August of 2014. It is her prayer that she continues to learn and grow into this position, and that she can bless God and Calvary through her work here. Polly grew up on the north shore of Lake Superior and graduated from Two Harbors HS. At the College of St. Scholastica, she received her undergraduate degree in food and service management, and at St.Mary’s, she received her MA in organizational leadership. Polly owned a restaurant, worked at a charter school in transportation and food service, was a registration and support services manager at Concordia Language Villages, and was a business manager for S. Koohciching Rainy River School District. Her family moved to Bemidji in 2000. Her husband, Charlie, is a teacher at Red Lake High School. They have one adult son, CJ. Polly began at Calvary in February of 2012. Garrett moved from Little Falls to Bagley at the age of ten with his four siblings and parents, Curt and Kitty Fultz. 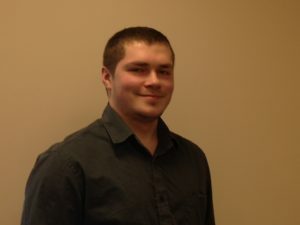 He graduated from Bagley High School in 2012 and decided to pursue a college degree at Bemidji State University. After over a year of attending psychology courses, Garrett switched his focus toward business. In 2016 he graduated from BSU with a degree in Business Administration with emphases in Marketing and Management. Prior to being employed at Calvary Lutheran Church, Garrett was a Shift Manager at Arby’s while working as a Merchandiser for Nabisco in Bemidji. He is very excited to meet and get to know everyone involved with Calvary Lutheran! Kim grew up in Rogers Minnesota, and moved to Bemidji just last year with her husband, Rev. Pete Warren, who is the pastor at Aardahl Lutheran Church of Bemidji. They recently became homeowners and enjoy living in the country. In her free time, she enjoys watching movies, listening to music, and spending time with her husband. She has an extensive ministry background that started as a volunteer in her home congregation in Rogers, MN, and followed her through to serving on a year-long ministry team with Youth Encounter, and then working in the Youth Encounter office. 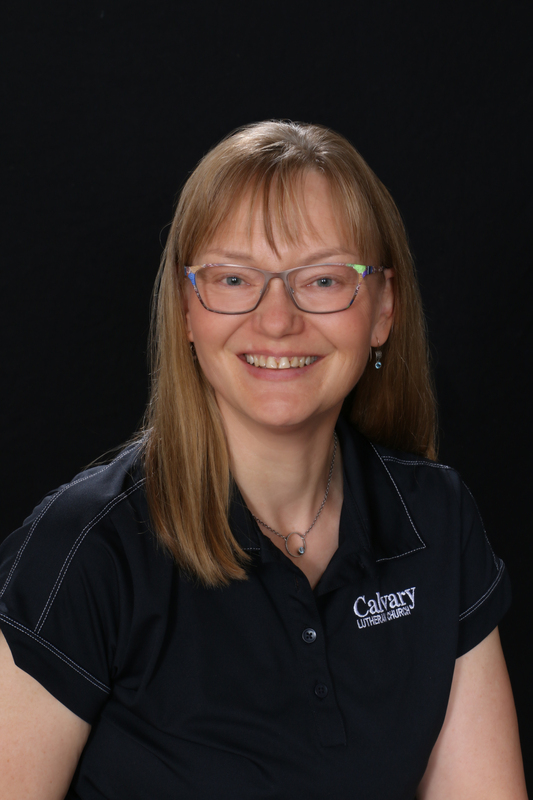 In 2004, she completed the Youth and Family Ministry Certification course through Wartburg Seminary and was a youth director for a short time. Since then, she has had a variety of jobs in a variety of fields from retail customer service, to office management, to paraprofessional. 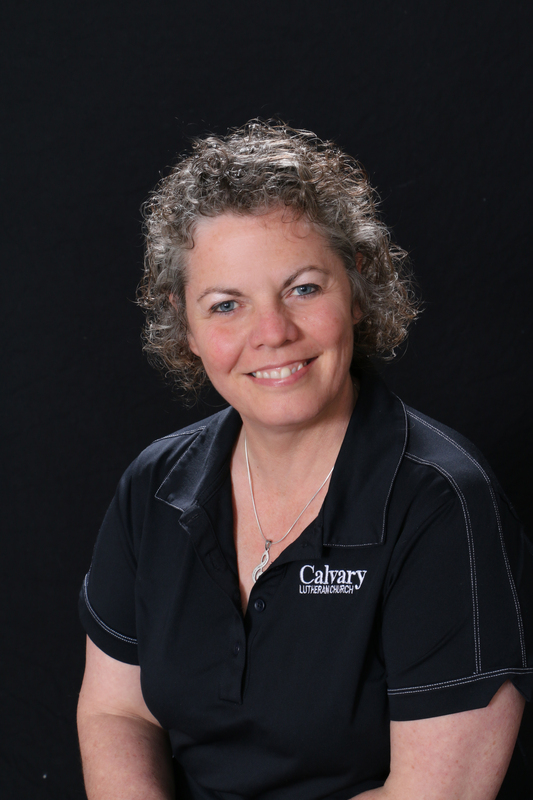 Kim is ecstatic to join the staff at Calvary and looks forward to the journey ahead. 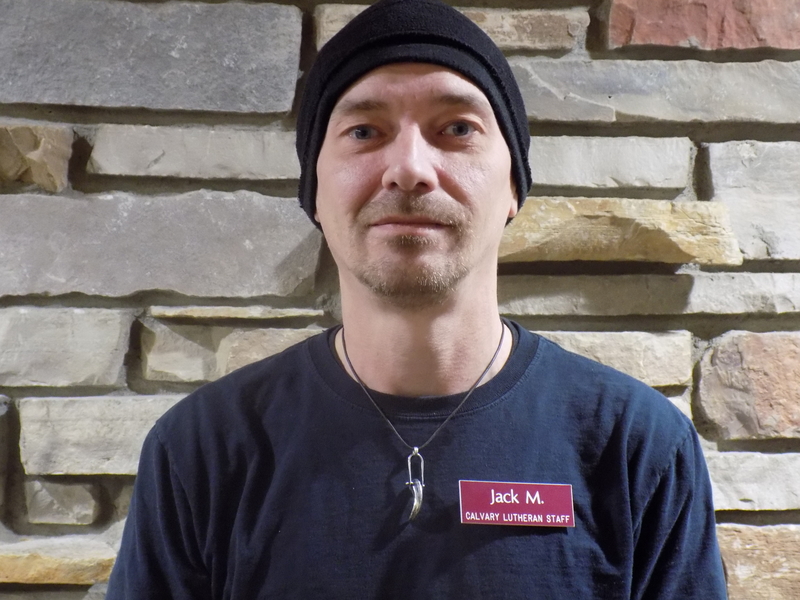 Jack grew up in Bemidji, and graduated from Bemidji High School two years early with a GED in 1991. After graduation, he worked with his Dad pouring concrete and accepted a scholarship to Bemidji State University in 1994. After failing to maintain satisfactory attendance and GPA, he decided he needed discipline, joining the US Army later that year. He served 6 years as an airborne infantryman and instructor at Hohenfels Combat Maneuver Training Center, in Hohenfels Germany, and was honorably discharged in 2000. Upon returning to Bemidji, he became a manager at Hard Times Saloon and a para professional at Bi-Cap Head Start. 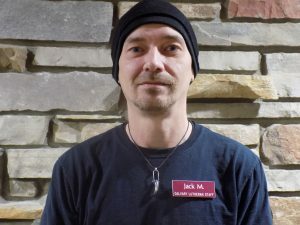 Following a move to Fargo, he worked mostly in security, the travel industry, and as a manager at Ronald McDonald House. Due to health complications he moved back to Bemidji in 2011 and worked at Village of Hope until he was offered the position managing the Wolfe Center in 2015. His fiancé, Laura, attends school at NTC and works as a medical coding specialist at Nielson Place. They have two children together, Nova, and Quinnton. 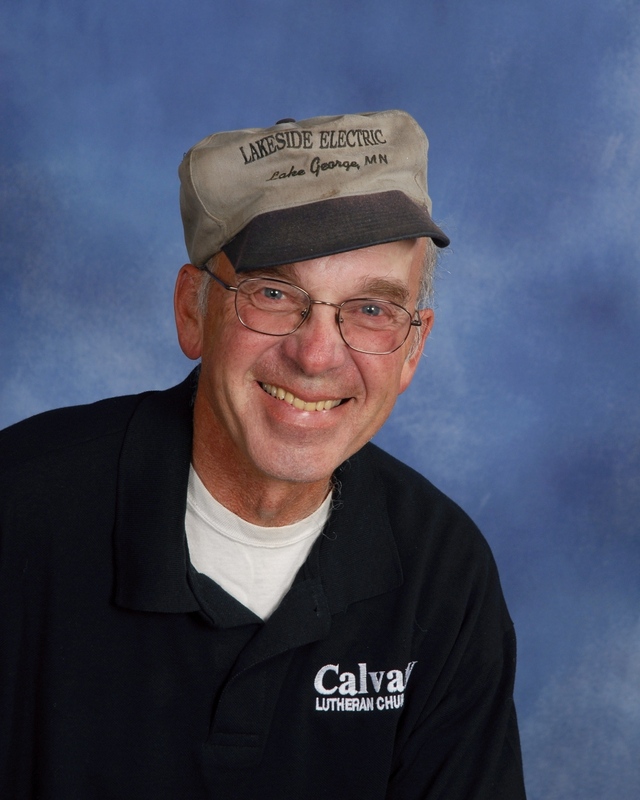 Gene Bright is the evening and weekend custodian at Calvary Lutheran Church. He was born in St. Cloud, MN and graduated from Stillwater High School in St. Cloud. Gene is a veteran of the United States Army and served in Vietnam. In his spare time, Gene enjoys reading, watching a little television and working in the garden.